Mix wheat flour, salt and sugar. Heat 2 tsps of oil and add it to the mixture. Add water and knead it into dough (just as you do for making chapathis). In a heavy bottom wok, add 2 tsps of water and jaggery and heat it. Allow jaggery to dissolve completely. Ensure there are no lumps. When jaggery starts boiling, add coconut, cardamom powder and saffron to make the puran/stuffing. Keep stirring for 3-4 minutes and remove from the stove. 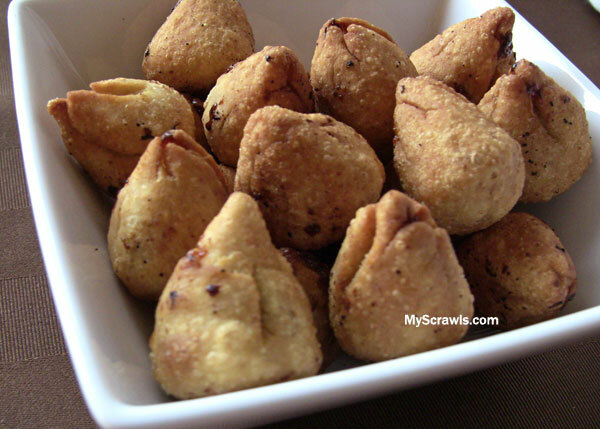 Take wheat flour dough and make small balls out of it. Press it in your palm and flatten it. 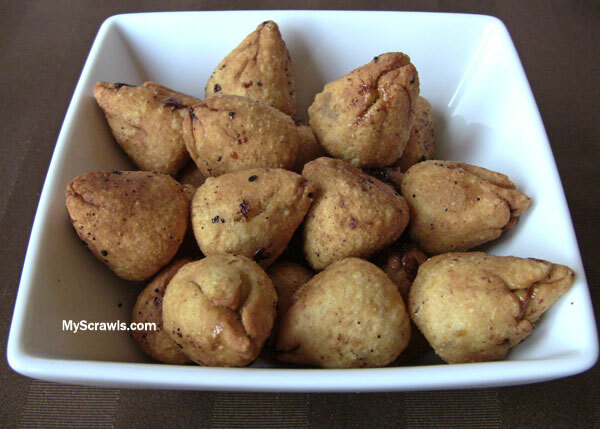 Make small ball out of the puran that we had prepared. 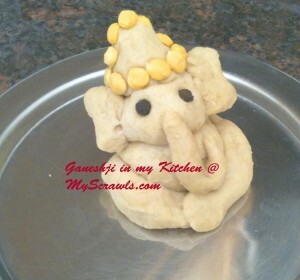 Place puran in dough and close it in a pyramid shape. While stuffing the puran, seal it completely. Deep fry the modaks and serve warm. 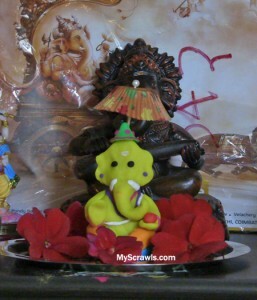 PS: Here are the snaps of Ganesh Chaturthi celebrations at our home (in Chicago) with eco friendly Ganesh Idol that I made at home Enjoy browsing! Lovely recipe.. looks delicious ! !